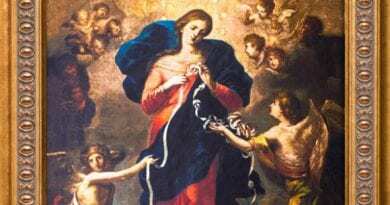 Our Lady of the Rosary of San Nicolás is, in Catholicism, a title of veneration of the Virgin Mary associated with a reported private revelation to Gladys Quiroga de Motta, a middle-aged housewife, beginning in the 1980s in city of San Nicolás de los Arroyos, Argentina). 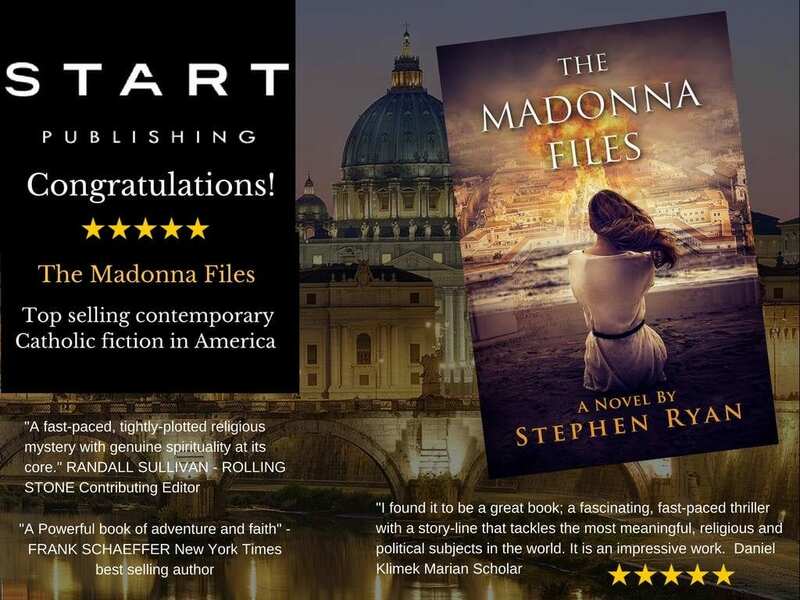 Quiroga said that she was tasked with promoting devotion to the Mother of God under this title, with an emphasis on key passages in the Bible and a particular mystical stellar symbolism. The devotional image, that of a standing Madonna offering rosary beads to the faithful, resembles that of Our Lady of Mount Carmel offering the scapular to St. Simon Stock, while differing from traditional Dominican Seat-of-Wisdom-type depictions of Our Lady of the Rosary popularized by the Order of Preachers. The pilgrimage site named in honor of Our Lady of the Rosary of San Nicolás erected in San Nicolás de los Arroyos is one of the most important in Argentina. Mankind is being lead by Satan to the deepest of the abysses, to the total condemnation of the soul. Fortunate those that want to see clear in their hearts. Fortunate those that stop to meditate. Fortunate those that are lead by the Mother. Glory be to the Eternal one. “At the present time, all mankind is pending by a thread. If that thread is broken, many will be those that do not have salvation, for that reason I call you to the reflection, hurry up that we are running out of time, there will be no place for late comers. The Lord wants all to enjoy His kingdom. To those that are remote, I say to them: approach, Jesus Christ is within reach of your hand. Today the world is confused, very confused. Evil appears to be the only solution. 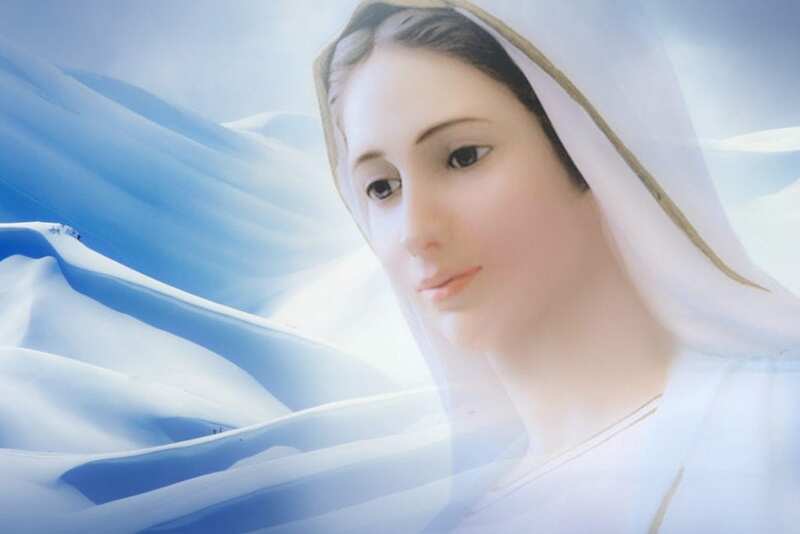 And on May 13, 1989, anniversary of the first apparition in Fatima: Today like then, in Fatima, are my visits to Earth, although these are more frequent and prolonged since the mankind lives moments of great drama. The bishop of San Nicolas, Msgr. Domingo Salvador Castagna, far from taking distance from the vital phenomenon that happens in its diocese, accepts it, guides it and nourishes it, without leaving aside the prudence and the discernment. He encourages the traveling pilgrims to come and visit San Nicolas. The processions follow one another every 25th day of every month, being the most important and numerous the 25th of September of every year, in memory of the day of the first apparition. On September 25, 1986, the bishop places the corner stone of the present Sanctuary. The Campito of the Virgin located next to the Sanctuary has been transformed into a place of processions, via crucis and confessions, particularly in days of greater concurrence. The conversions are numerous and profound. This grace has lasting effects. Throughout Argentina thousands of prayer groups have formed that are light sources. Several have also given testimony of physical healings made by Jesus, through the intercession of the Virgin Mary. Many testify to have seen extraordinary manifestations of the presence of God and the Virgin like the dance of the sun, that reminds us of the miracle of Fatima; the perfume to roses; seeing glowing rosaries on the walls in several homes; the candle lights that when burning leave the letter M of Mary imprinted on the inside. More recently water began to flow from the Sanctuary and many have perceived scent to roses in it. But the greatest miracles that mark the presence of Heaven in this place on Earth are the numerous conversions. God wants to renew the alliance with his people through Mary, His coffer of the Alliance. She is the Woman dressed with the sun of the Apocalypse. She is our anchor of salvation that takes us to her Son. Blessed be the moment that the Lord chose this town, and blessed because it was chosen so that I may have my great House, that will be of peace and tranquility. Place where I will comfort thousands of children who will come in search of love. I will attend to the sick, the fallen ones, all children pertaining to the great family of God, because my mission is to take care of the flock of the Lord. Glory be to God. Nothing will be able to devour the flame of the love that the Lord has ignited in your town. Nothing will be able to darken the light of the Lord. It is in the Sanctuary where Mary, Mother of Christ, hope to the children inherited from the Cross. It is in the Sanctuary that Mary acts on the souls, for the good of the souls. My beloved children you see it already, I am in front of you. While some live in their own desolation, others will live in the house of the Mother of the Savior. Here is the Temple, for the town of God. Here the love to Christ and Mary will root deeply. My House will be home for those who consider themselves children of God. Rejoice that I will bless you from here. Daughter, the Temple is protection of God for his children. One goes there to render cult to the Lord, to request physical health and a firm spirit based on the faith. The Temple is protection of God for the soul that lives on Earth and aspires to Heaven. Your city is the City of Mary and will always be a place of encounter with Jesus and his Mother. Do not allow anyone to interpose in my step. Whoever wants to follow the Lord must follow me. My daughter, I told you once that from here the faith for Jesus and Mary would appear again. From this place I invite the world to look for the life giving source, the source of peace and graces. I want to heal my children of that disease that is the materialism and that many suffer, I want to help them discover Christ, to love Christ and to say to them that Christ prevails above all. In all the places of the world where my messages have been given it would seem that it was preached in cemeteries. The response was not what the Lord was expecting. The demon acts ferociously, do not be astonished. He attacks without compassion surrounding everything what he can touch. Pray my children, prayer fortifies. You are called by Jesus Christ to pray. The prince of evil spills today his poison with all the forces, because he sees that he is concluding his sad reign. He has little left, his end is near. Oh my poor children, few of you are those that deepen in Christ, and many of you are highly eroded by sin. It is in fact this time, a precious time that does not have to be wasted but to be taken advantage of. The Redeemer is offering to the world the way to face the death that is Satan; is offering as He did from the Cross, His Mother, mediator of all grace. My children mine, my Heart wants that your soul lasts for ever and ever. Every time Jesus Christ is offended, it feels that my heart is struck repeatedly. The enemy is defying me very ruthlessly, is openly tempting my children. It is a fight between the light and the darkness. It is a constant persecution to my dear Church. All of you are parts of the mystical body that is the Church and of which Christ is the head. On Earth the Vicar of my Son is the person responsible for that body to be standing, and for that reason you must follow your Pope, following his education that is, really, the education of Christ. My Son’s will be done. Pray for the Holy Church. Hurt is my Heart because frequently it is attacked, day to day its light dims. As Mother of the Church I suffer the most exhausting pain. My sufferings are united to those of the Pope, because his pain is my pain. The most intense light of Christ will resurge, just as in the Calvary after the crucifixion and death came the resurrection, also the Church will resurge again by the force of love. The Lord is revealing to you by means of the messages and the Sacred Scriptures what is expected from men. Do not close the doors to him. Commit to Jesus as He committed to us. Make known what I give you, the atheism is flooding the nations, absence of God is everywhere; it is why the word of the Lord must be listened to and not be despised. The action of His word will do much if the heart is opened. You watch the rising sun and you will see a new day being born, that brings you hope and faith, that each morning the desire to be true children of God grows. Do not allow God to separate His face from you, trust Him. It is not possible to be live without making a daily prayer to our Father in Heaven. You see this crown, because this is what I want you to do, a true crown of rosaries. Prayer my daughter, prayer! How many mouths still remain shut without at least knowing a prayer that approaches them to the Lord. The Holy Rosary is the most feared weapon of the enemy. Santo Rosario is the weapon to which the enemy fears to him. It is also the refuge for those seeking relief, and is also the door to enter my Heart. Glory to the Lord for the light that He gives to the world. My daughter, at this time there is extreme need of prayer. The Holy Rosary will be heard by the Lord this day as if coming from my voice. The prayer is my request, and is directed to all mankind. The prayer must come from a willing heart, must also be frequent and be done with love. It must never be left aside, since the Mother wants that by her the children arrive at God and with which the enemy is defeated. Eucharistic Jesus is alive and true body. Adore and love Him. My children, it is in the Eucharist where you can feel how He gives Himself to you. It is in the Eucharist where He returns to be body and blood, and it is from the Eucharist that he wants to save the souls prepared to receive Him. Today as never before my messages must be spread. Today as never the world must know my words, my urgent call to the conversion, my order of consecration to the Sacred Hearts of Jesus and Mary. The Lord still waits for the souls. Glory be to the Lord. My children must know that I call them to the consecration, because being consecrated to my Heart; they belong to the Mother and to the Son. I say to my children: You are for me like new born children, who need the love of their mother, the heat of their mother and the food of their mother. I will lead you and I will help you to grow in the love to the Lord, I only ask you to let me guide you. Glory be to God. Do not stop walking. Night and day you must preach. Insist without rest. My messages must be read slowly so that they can be digested as I wish. In these times in which the poison of the evil one seems to contaminate everything, the Lord becomes evident for the salvation of souls. These words can be weakened if kept and not extended; they must be announced throughout the Earth. I speak to my children to request humility from them; I request humility from you, because in humility you will be pleasing to the eyes of God. I request humility from you because the Lord wants the humble ones and rejects the magnificent ones. You follow the example of Jesus Christ, the glories are His. Dear daughter, for many I have disappeared in the Cross where Jesus gave his life, being that was there where my maternity he began to grow, and my love of mother extended towards all the men by will of my Son. Today with more force I am fortifying the uncertain one, returning pure to the impure and the right one to the unjust one. Many are the children who know and venerate the Mother. Many more are those that do not know her. Today it is time to listen to her and to know her because the one that despises her despises Christ and is hurting himself. Nobody has doubts, love does not have misfortune. The one that loves Christ also loves His Mother. Praised be the Lord. That all may know my message. I am the anchor, I have anchored here. I am the coffer that wants to take the children to the Lord. At the present time, all mankind is pending by a thread. If that thread is broken, many will be those that do not have salvation, for that reason I call you to the reflection, hurry up that we are running out of time, there will be no place for late comers. The Lord wants all to enjoy His kingdom. To those that are remote, I say to them: approach, Jesus Christ is within reach of your hand. The coming of the Lord is imminent, and as they say in the Scriptures nobody knows the day nor the hour, but it will be; and certainly for that hour the soul of the Christian must be prepared. Even the stones will know of Him. It is thus my daughter how this Mother wants the words of her Son be known. Today the world is confused, very confused. Evil appears to be the only solution. Mankind is being lead by Satan to the deepest of the abysses, to the total condemnation of the soul. Fortunate those that want to see clear in their hearts. Fortunate those that stop to meditate. Fortunate those that are lead by the Mother. Glory be to the Eternal one. In these times of great confusions and so little light in the souls, my purest light will be the one that guides you in the middle of so much darkness. I will help you to overcome all uncertainty. This Mother will make your encounter with the Son possible. For this it is necessary to become small and to give in to my Heart. Amen. Amen. Glorious days await you. Rejoice In Me my beloved children. The creatures must come to Me, because only with Me the souls will live forever. It is my Mother the one that will prevent them from drifting aimlessly, the one that will cause them to come directly to Me. 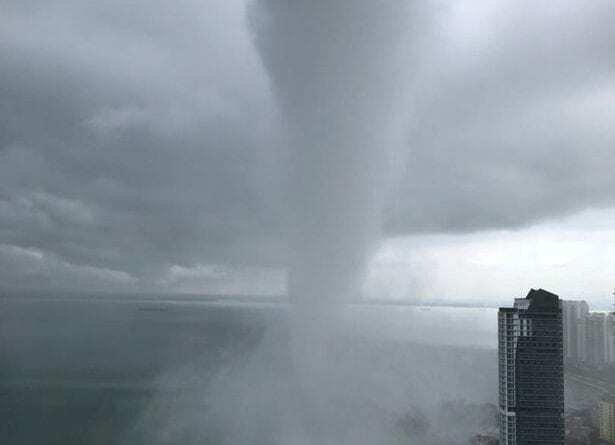 Today I forewarn the world that which the world does not want to notice: the souls are in danger, many will be lost, and salvation will arrive at few if I am not accepted like The Savior. My Mother must be received; My Mother must be listened to in the totality of her messages. Man must discover the wealth that She brings the Christians. The children of the sin will grow in it, if their incredulity increases. I want a renovation of the spirit, a loosening from death and an attachment to life. The Heart of My Mother is the chosen one so that what I request becomes reality. The souls will find Me through Her Immaculate Heart. Previously the world was saved with Noah’s Ark. Today the Ark is My Mother. By means of Her the souls will be saved because It will bring them towards Me. Whoever rejects My Mother, rejects Me. Many are ignoring the graces of God these days. You must go and evangelize. Do not pay attention where. Wherever you are, evangelize to your brothers who know nothing about the word of God. Do not forget. Evangelize. Amazing Photo Taken in Medjugorje on Anniversary June 24…Pilgrim who took shot stands by claim its real …Mystic Post Looking for More Info on Photo. If despair has the upper hand, immediately call upon the Most Holy Name of Mary with this prayer! September 12, 2018 ryanmysticpost Comments Off on If despair has the upper hand, immediately call upon the Most Holy Name of Mary with this prayer! “The earth was desolate.” Pope John Paul II was immediately made aware of the 10 secrets of Medjugorje. 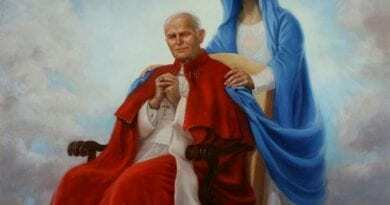 April 15, 2018 ryanmysticpost Comments Off on “The earth was desolate.” Pope John Paul II was immediately made aware of the 10 secrets of Medjugorje. 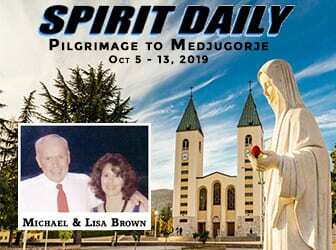 When a Demon arrives in Medjugorje during Apparition … Howls of Possessed … “Go Away! !” ..Shock video..
June 27, 2017 ryanmysticpost Comments Off on When a Demon arrives in Medjugorje during Apparition … Howls of Possessed … “Go Away! !” ..Shock video.. 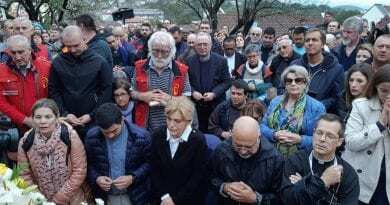 IN FINIS MUNDI / ON 28 JANUARY 2018 AT 16:13 / Sister Amalia Aguirre was a pious woman who lived in Brazil.